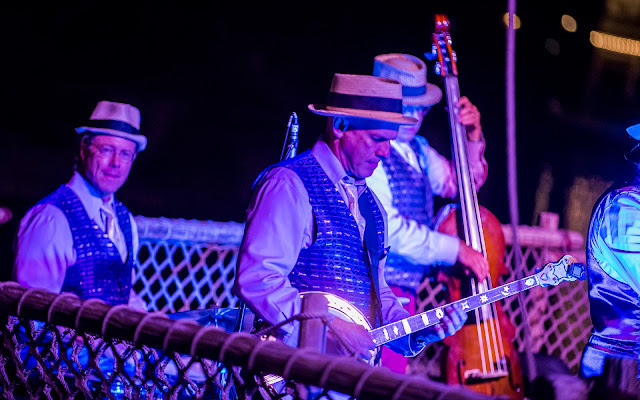 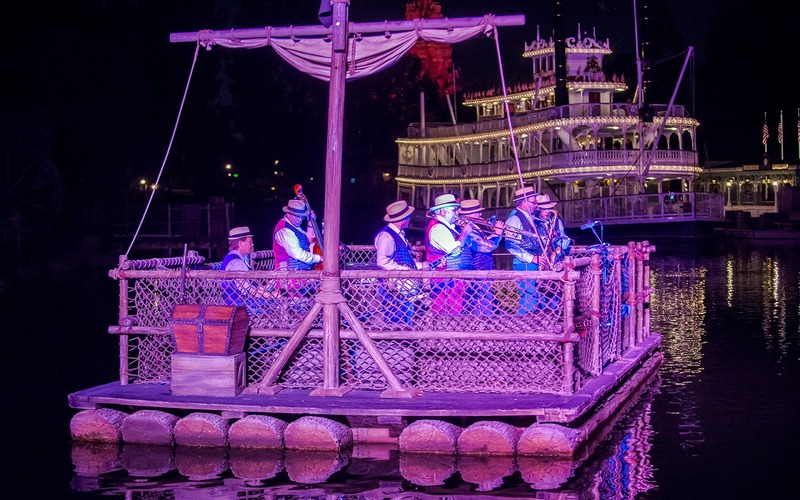 I have always loved FANTASMIC!, and aside from the wonderful show itself, one of my favorite memories of watching it as a kid was actually enjoying the live jazz music that was played before the show began by a jazz band that floated along the Rivers of America aboard one of the rafts that took guests to Tom Sawyer Island. The mood they set was always fun and high spirited, and I loved the idea of floating entertainment. 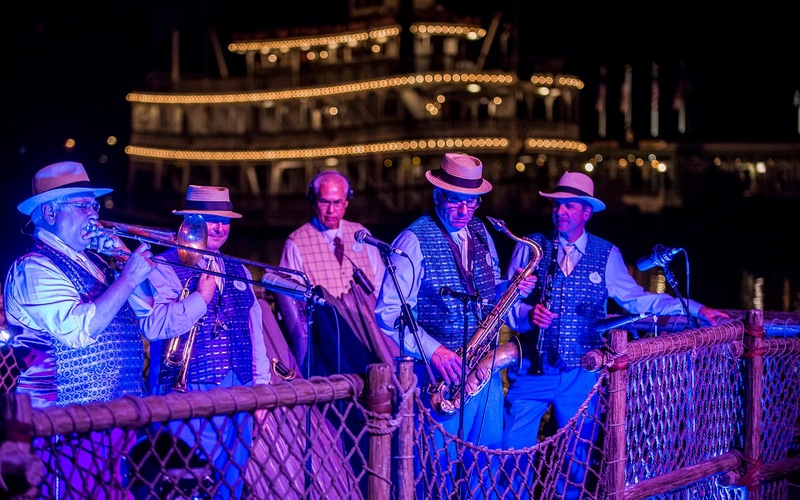 When they eventually removed that pre-show, I was disappointed, because it was a habit I had really enjoyed. 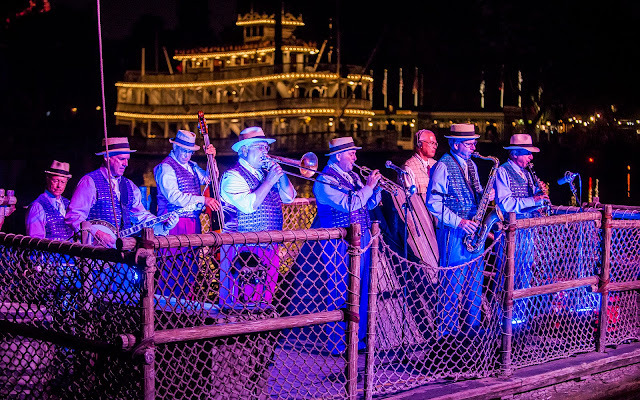 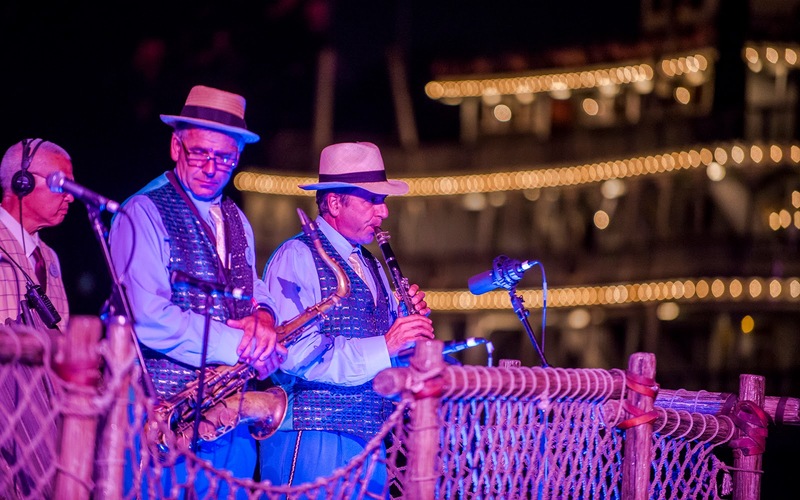 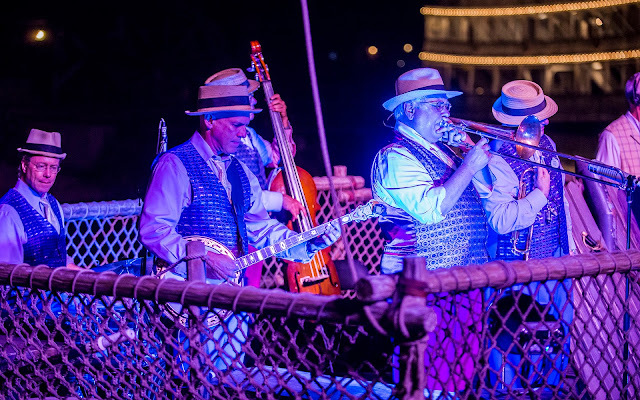 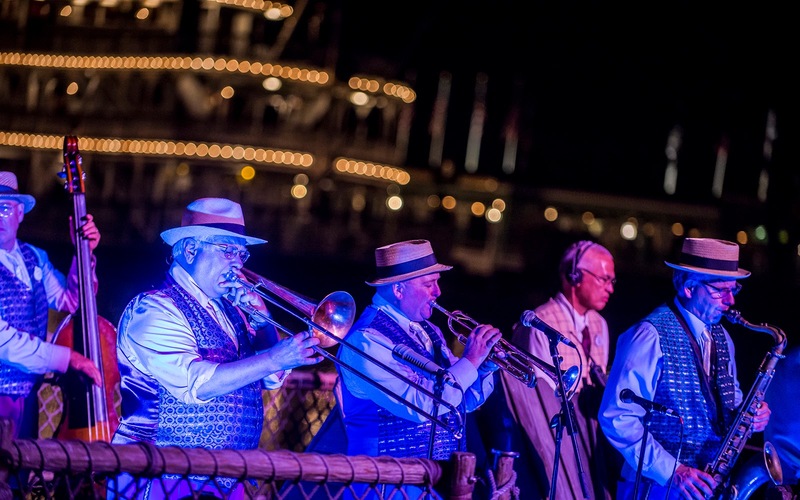 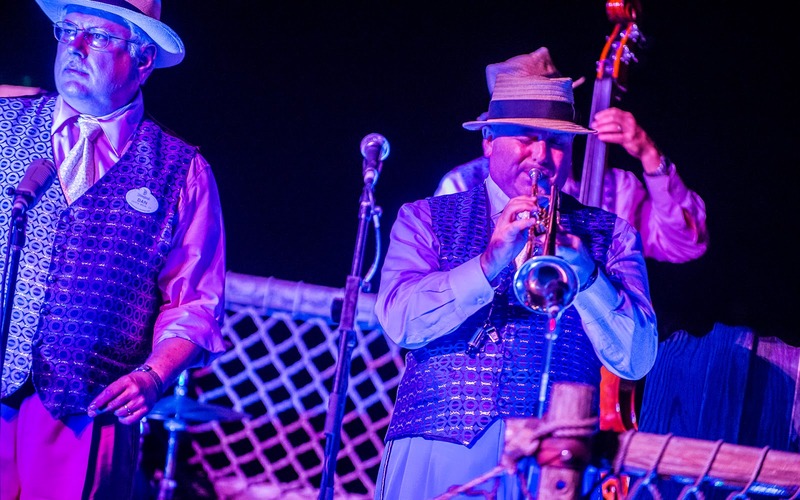 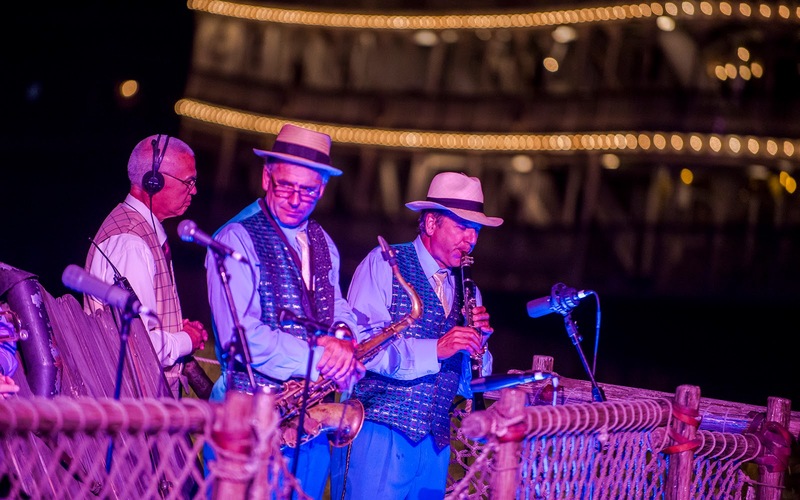 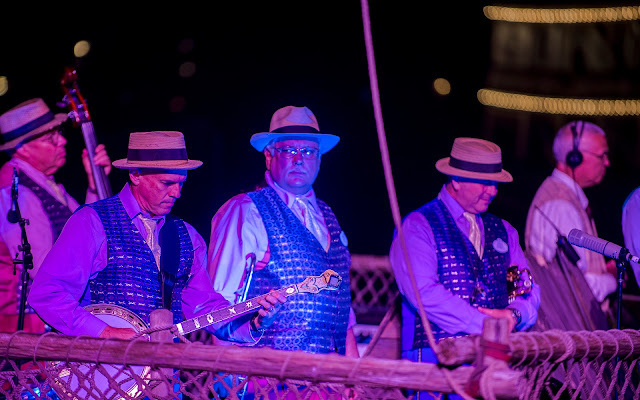 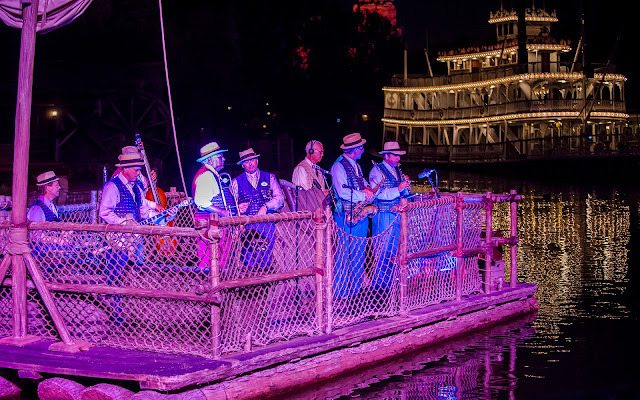 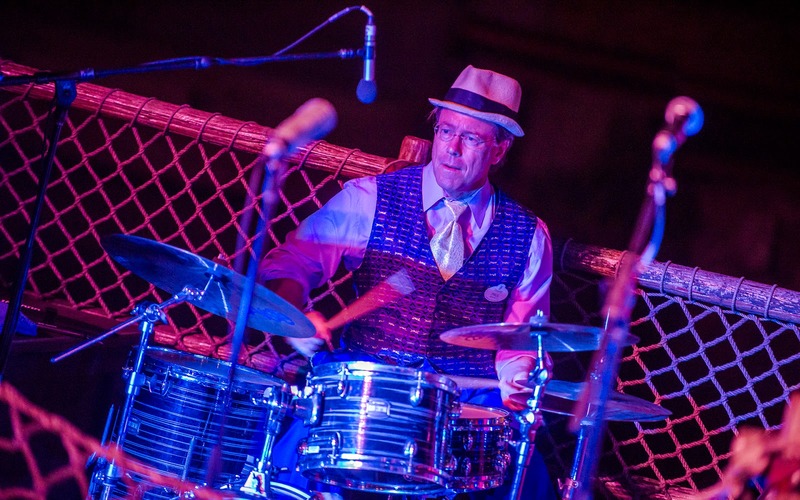 Well, recently, nighttime riverfront jazz has returned along the Rivers of America. 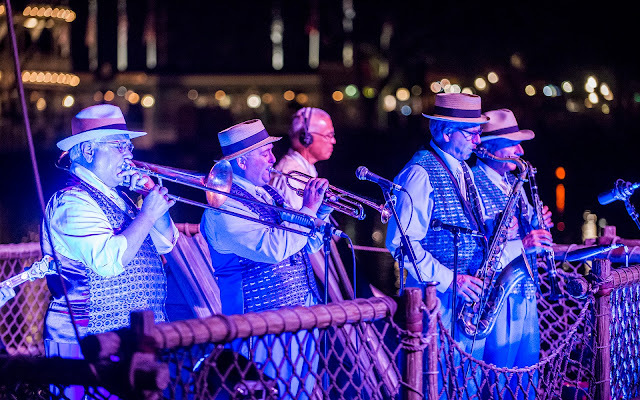 The Jambalaya Jazz Band has been doing several sets along the river, presumably to make up a little for the lack of a FANTASMIC! 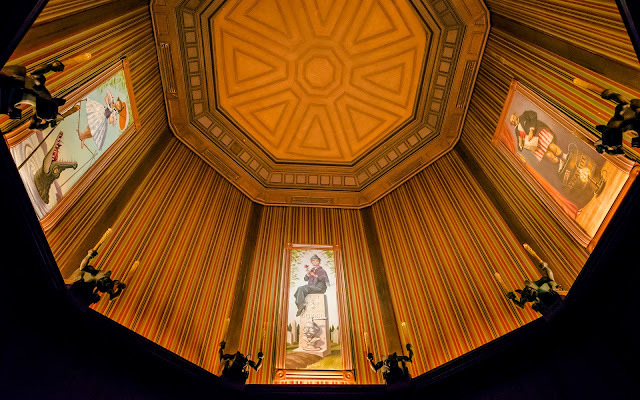 while the back half is being reworked and rerouted to accommodate "Star Wars" Land. 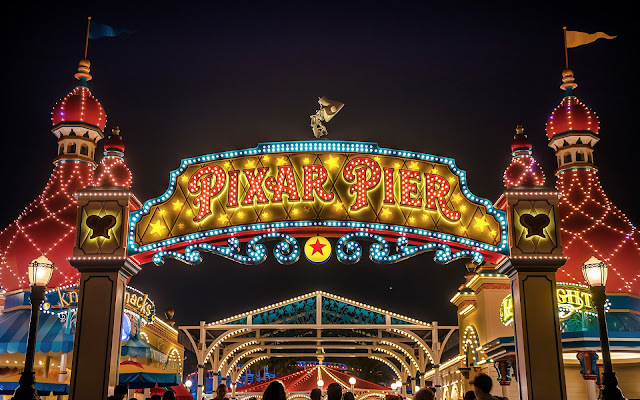 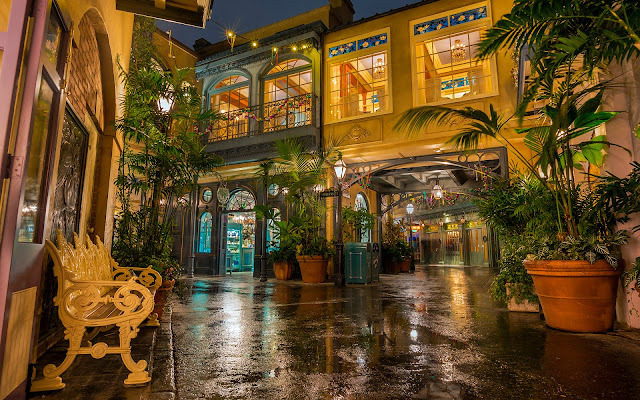 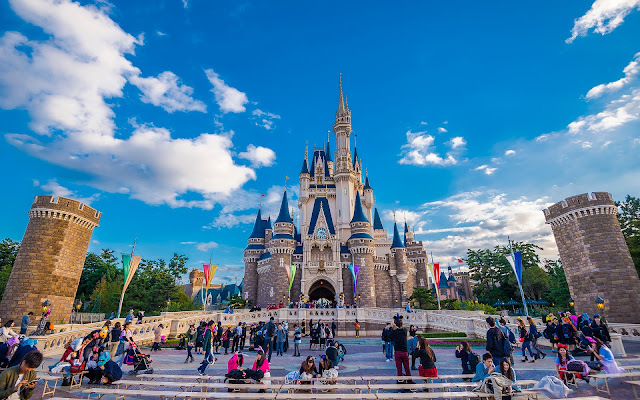 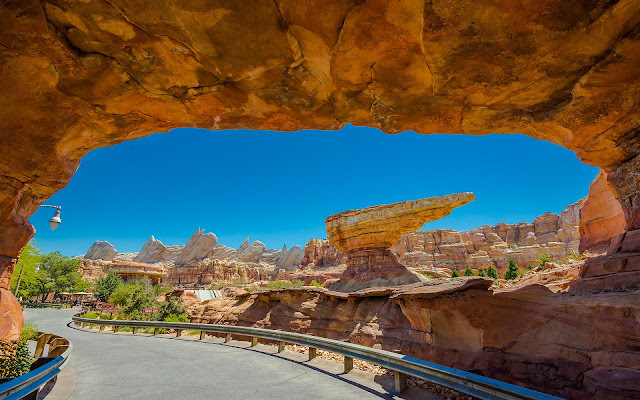 This has only been occurring since the beginning of the summer season and seems to be designed to be a crowd appeaser for those expanded summer crowds, but I welcome it. 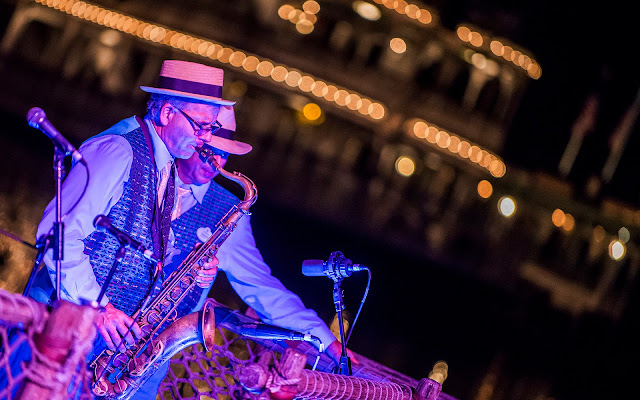 It stirs those childhood memories and adds another platform for live jazz--something I have always enjoyed. 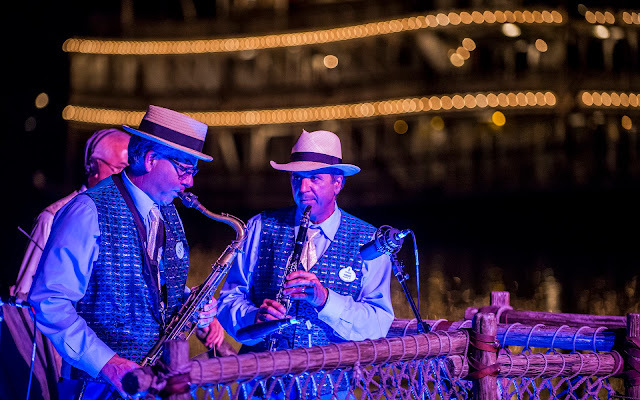 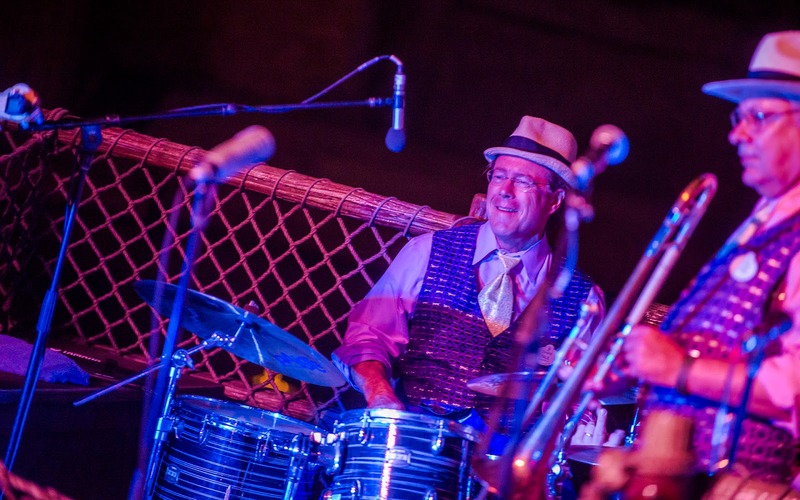 Here are some photos taken just this past Sunday of the band, playing their swinging tunes after dark.